The weekend is approaching, and you’re probably casting your eyes to your phone right now. After all, you’ve got two whole days to enjoy the bounty of new Android games out this week. And it’s quite the bounty! This is definitely one of the better weeks for sheer number of solid titles released. We won’t spoil any of them though, you’ll have to read on for the full list. Golden Axe is the latest title to release under the Sega Forever heading. It’s a Mega Drive classic brawler that challenges you to defeat hordes of monsters in side-scrolling combat. If you love beat ’em ups or hack and slashers, go ahead and grab Golden Axe right now from Google Play. The House of Da Vinci is a gorgeous puzzler from a similar vein as The Room. You’ll explore rooms, solve mechanical puzzles, and try and uncover the mysterious disappearance of Da Vinci himself. If you like stuff based on the renaissance, mechanical puzzlers, and looking for hidden objects, go and grab The House of Da Vinci from Google Play right now. 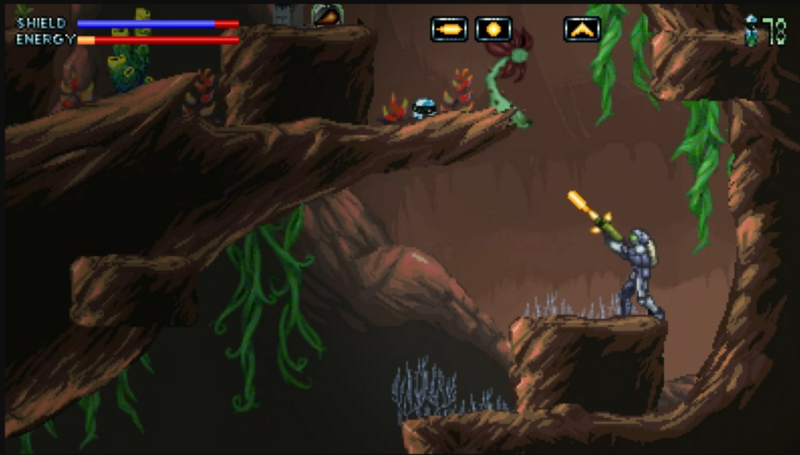 At first glance, you’d be forgiven for mistaking Life on Mars for Metroid – it looks really similar. That’s probably because it takes enormous influence from Nintendo’s classic franchise. You’ll explore an alien world, find new weapons and abilities, and even upgrade your shield and energy systems. So far, so Metroid. Go and grab it right now on Google Play. Mini Guns is another in a long line of releases heavily inspired by Clash Royale. This one is clearly influenced visually by the long-dormant Advance Wars though. The only unique mechanic we can see, is that you can see the exact line of attack your units will take when you place them on the battlefield. That might be enough for you though, so grab it on Google Play. Top Drives is a multiplayer racing card collector. You’ll build a deck from over 700 fully licensed cars, then take on a variety of challenges. Choosing the right car for the job is key here. You can even take on your friends in multiplayer, where exclusive cars are up for grabs. If you love cars, playing games with friends, and collecting cards, grab it from Google Play right now. Sonny is a turn-based RPG set in a post-apocalyptic environment. You’ll build a team of survivors, equip them with powerful new abilities, and learn new gameplay mechanics. If you love the genre, comic book-style visuals, or post apocalyptic stuff, go and grab Sonny from Google Play right now. The Walking Dead: March to War is a brand new survival strategy inspired by the events of the latest series of the TV show. You’ll build your own base, set survivors to work, and choose the right leader. You can choose various characters from the franchise to lead your survivors, with each offering a different play style. If you really like The Walking Dead, go and grab it on Google Play right now. Box Cat Bash is a tough as nails high score chaser with a very odd premise. You play as a rectangular cat, and have to run around a small arena smashing boxes before they hit the ground. If you’re feeling lucky, you can even leap up and smash birds that fly through the air. It’s bonkers, but probably a lot of fun. Grab it on Google Play right now. Death Point is an episodic top-down stealth shooter in which you have to try and survive a tough post apocalyptic environment. You’ll plan and execute sneaky attacks, wield a variety of weaponry, and try and save your operator in this gorgeous post apocalyptic adventure. Grab it on Google Play right now. The post 9 new Android games you have to play this week appeared first on Droid Gamers.